Living Social App Review... Are those deals legit? Living Social App Review… Are those deals legit? The LivingSocial app appears to be one of the best money saving apps that can, not only help you save money, but it can also help you decide what you should do this weekend! The Living Social app doesn’t seem to “focus” on any particular category when it comes to helping its users find a great deal. For some, the Living Social app might be a great way to save on their next dinner date or trip to the theater, while for others it could be what finally convinces them to have that embarrassing back hair removed! And are the deals you find advertised on it legit? Which are all great questions and ones that we hope to answer in our following Living Social App review. So, what is the LivingSocial app? You’ve probably already heard of this – or at least their now parent company, Groupon – but let us break it down for you. LivingSocial is an app/website that lets you find daily deals on things you love. This includes just about anything: dinner and a movie, massage, oil change – you name it! All you do is pay for the goods or services via LivingSocial at the discounted price, print out your receipt or certificate and then bring this “print out” with you when you go to redeem your purchase. It’s that easy! After being acquired by Groupon, the company did undergo significant downsizing. But despite this, LivingSocial continues to offer amazing deals that can really help you save money. Even though LivingSocial has “downsized” a bit, it’s still a MASSIVE company with DEEP POCKETS which should make anyone thinking about using it feel very secure that LivingSocial isn’t some scam or “fly by night” company that’s going to run off with their money or disappear overnight. Which is great! Since you are purchasing your “certificates” through LivingSocial, you can always refer back to LivingSocial if you encounter any difficulties with “coupon” that you purchased. LivingSocial seems to have deals on literally everything. Some of these categories are really just like any other online marketplace – just that they are usually offering a better deal (that said, it never hurts to comparison shop before you buy). You really don’t have to be internet savvy or digital savvy to find the things you want from LivingSocial. It’s pretty straight forward and anyone who has ever gone on the internet can usually figure out how to use LivingSocial (and seeing as you’re reading this, that means you’re probably not going to have a problem!). One of the really nice things about LivingSocial is that you are able to “customize” your search results and have the LivingSocial app provide deals specifically for your area. This is particularly nice if you’re looking for a way to save on a night out on the town or looking to save money on a movie or performance. 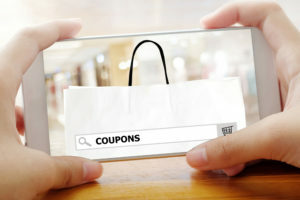 Sitewide coupons are also great because these types of “coupons” can often help you save quite a bit of money on a product that you may already be looking for anyways. Examples of such products that may fall into this category may include: electronics, clothing or accessories. It’s easy to become “addicted” to the deals offered on LivingSocial (Or at least, it has been for us!). You might wind up getting a lot more massages or dining out more often than normally just because it seems so darn cheap! Here’s the trick: instead of browsing LivingSocial regularly, use it as a way to find deals on things you are already planning to do. Going to dinner on Friday night? Check LivingSocial for a deal that can turn your $50 dinner into a $35 dinner. If you’re smart about how you use LivingSocial, then you can really reap savings. If not, you might wind up overspending. Tip: If you’re buying something on LivingSocial, it’s always best to crosscheck the price on other sites to make sure you really are getting the best deal out there. Other sites that you may find helpful to do this can be found on our Top 20 Money Saving Apps article. The point of writing this article is to provide you with a little insight on how LivingSocial works not to get you “hooked” on spending all sorts of money that you would otherwise not have spent! Which is a completely natural question to ask, one in which we have no problem answering. Here at TermLife2Go, our primary goal is to help our clients improve the financial security of their loved ones. And while we believe that purchasing life insurance is a great way to do this (just in case you’d like to compare Term Life Insurance Quotes), we also understand that saving money and establishing a “responsible” budget can also go a long way in insuring one’s own financial security. It’s important to note that we here at TermLife2Go are not financial experts, nor are we money managers or certified financial planners. All we are is a bunch of life insurance agents who just happen to be really good at helping folks qualify for really affordable life insurance policies. When we write a review like this one on the LivingSocial app, it’s not because we’re financial experts and it’s not because we receive any “compensation” by LivingSocial it’s just because we think it “seems” like a pretty good idea and we’d think it would be great if you could save a few bucks if you end up using it. We really don’t have any type of “vested” interest in whether or not you decide to use LivingSocial or not. Which is why we would encourage you to only use LivingSocial for things that you’ve already decided on purchasing anyways, this way you’re certain to save yourself a few bucks! Previous Post: SnipSnap App Review… Will it Save you Money?